How Content marketing is crucial for SEO? Here is the answer for it. 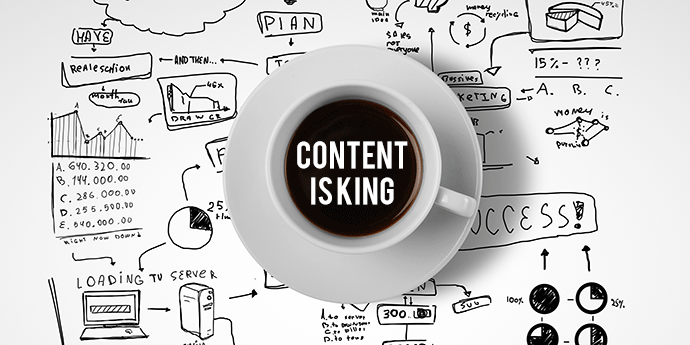 “Content is King”, If you were ever associated with SEO, you would have come across this phrase. Let’s break it down. Google as an efficient search Engine wants to provide the most significant results for a query searched by its user. In order to do that, Google’s crawler’s surf through millions of pages and index them so that they are useful when a query is asked by a user. Google takes around 200+ factors into consideration before ranking a pages. In Practice, most of the factors are taken care of by agencies and companies. Link building is a one way of getting merit in the eyes of Google but that’s just one part of SEO. Companies and Agencies tend to put more focus on Link-building and forget the main part of SEO, the content itself. No matter how much effort you put into other activities, if your content is not pleasing and doesn’t mean good value to visitors, you are most likely to fail with SEO. Content helps Google relate your website/business with various topics/categories. That being said, there are millions of pages of content indexed by google every day, to stand out in the crowd your content has to be very useful, informative and should add lot of value to users. Content marketing is another strategy where you are publish good content that adds value to your potential customers and also helps to create a buzz about your business/website. Content marketing and SEO have to go hand-in-hand to create a meritorious situation. Posting good and authoritative content in public blog forums, websites related to your business adds tremendous value to your website. If your content is good, publishers would love to post it on their website as it would get them more traffic and valuable users, it’s a win-win. Always remember that you must have at least one link pointing to your website from these posts (This is where SEO comes in). This strategy works the same way in social media, the more buzz your content creates organically, the more likely you are to get more merit from your content. A content strategy well executed creates a sense of authority for you in the eyes of google, in your field as your content is being shared by other good websites and users. This in turn makes your website more meritorious than others and increase your chances of ranking high in SERPs. A good SEO agencies make sure their SEO strategies are well integrated with an efficient content marketing strategy. Create a content marketing strategy for your website, if you don’t have one already.